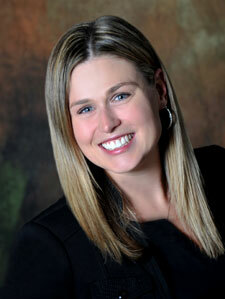 Danika started her career as a Director of Health Information in a LTC Facility in Minneapolis, MN. Next, she moved to Alllina Hospitals and Clinics where she worked as a HIM Supervisor, Manager of Revenue Cycle Improvement, and a Regional Manager of Health Information Management. In 2010, she joined the CSS HIIM Faculty as an Assistant Professor and a HIT Consultant for the REACH Program. Danika has served as the subject matter expert for healthcare Privacy and Security for The College of St. Scholastica and REACH. The REACH program has been successful in educating over 200 individuals on privacy and security requirements in healthcare as well as supporting with different tools. Professionally, Danika has served on the MHIMA Board of Directors in many different role, most recently Past-President of MHIMA from 2014-2015 and Past President from 2014-2015. Danika was recently elected as a Delegate to the American Health Information Management Association's Board of Directors. 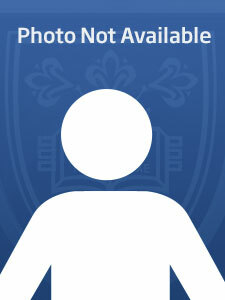 Danika's interests include anything Privacy and Security related, specially related to HIPAA and HITECH. She also is very interested Information Governance, EHR implementation and Optimization, workflow redesign, physician engagement with an EHR, project management and Meaningful Use. Co-author with Janelle Wapola, MA, RHIA, of the chapter titled: Electronic Health Record: Applications in Practice.Health Information Management: Concepts, Principles and Practices (4th Ed) published by the American Health Information Management Association. This text is scheduled for publication in 2012. I married my college sweetheart in October 2004. Together we are on the adventure of raising two little busy girls, Taylor (8) and Piper (6). I love watching my children grow and learn more each and every day. Even when life seems too much and stressful, a hug from my babies is all I need! I am a lucky mommy. David Marc is an associate professor, department chair, and health informatics graduate program director in the health informatics and information management department. Currently, Dr. Marc teaches courses on healthcare data analytics and research. Dr. Marc has a master’s degree in biological sciences from the University of Minnesota and a PhD in health informatics from the University of Minnesota. He also holds a certification as a health data analyst (CHDA). Dr. Marc has extensive experience working with large healthcare datasets and analytical procedures. Dr. Marc is an active member of AMIA, AHIMA, and HIMSS and serves on various committees within these professional organizations. Prior to working for St. Scholastica, Dr. Marc was employed at a biotech company where he applied a myriad of analytic approaches to investigate the predictive value of biomarkers for psychiatric diseases. Marc, David and Ryan Sandefer (Eds.) (2015). Data analytics in healthcare research: Tools and Strategies. Chicago, IL: AHIMA Press. Khairat, Saif, David Marc, William Crosby, & Ali Al Sanousi (2018). Reasons For Physicians Not Adopting Clinical Decision Support Systems: Critical Analysis. JMIR medical informatics, 6(2). Althea Mathews & David Marc (2017). Usability Evaluation of Laboratory Information Systems. Journal of Pathology Informatics, 8. Marc, David, James Beattie, Vitaly Herasevich, Laël Gatewood, and Rui Zhang (2016). Assessing metadata quality of a federally sponsored health data repository. AMIA Annual Symposium Proceedings, 864-873. Khairat, Saif, Ryan Sandefer, David Marc & Lee Pyles. (2016). A review of biomedical and health informatics education: A workforce training framework. Journal of Hospital Administration, 5,5. Just, Beth, David Marc, Megan Munns & Ryan Sandefer. (2016). Why patient matching Is a challenge: Research on Master Patient Index (MPI) data discrepancies in key identifying fields. Perspectives in Health Information Management 13 (Spring). Marc, David, Rui Zhang, James Beattie, Laël Gatewood, and Saif Khairat (2015). Indexing Publicly Available Health Data with Medical Subject Headings (MeSH): An Evaluation of Term Coverage. Studies in Health Technology and Informatics, 216, 529-33. Sandefer, Ryan, David Marc, and Paul Kleeberg (2015). Meaningful Use Attestations Among US Hospitals: The Growing Rural-Urban Divide. Perspectives in Health Information Management, 1-10. Marc, David, & Janet Robertson, Leslie Gordon, Zakevia Green-Lawson, David Gibbs, Kayce Dover & Michelle Dougherty. (2017). What the data says about HIM professional trends. Journal of the American Health Information Management Association, 88(5),5, 24-31. Weinberg, Jason, Stephanie Peterson, David Marc, & Sandefer, Ryan. (2015). Aligning computer-assisted coding and information governance efforts. Journal of the American Health Information Management Association, 86(10), 36-40. Sandefer, Ryan, David Marc, Desla Mancilla, & Debra Hamada. (2015). Survey Predicts Future HIM Workforce Shifts: HIM Industry Estimates the Job Roles, Skills Needed in the Near Future. Journal of the American Health Information Management Association, 86(7), 32-35. Sandefer, Ryan H, Dilhari DeAlmeida, Michelle Dougherty, Desla Mancilla, David Marc. (2014). Keeping Current in the Electronic Era: Data Age Transforming HIM’s Mandatory Workforce Competencies. Journal of the American Health Information Management Association, 85(11), 38-44. Hello, my name is Brooke Palkie and I am an Associate Professor in the Health Informatics and Information Management Department. My focus areas include Clinical Compliance, Clinical Quality Management, Assessing Healthcare Quality, and Clinical Classification Systems, Standards, and Vocabularies. As an AHIMA Approved ICD-10-CM/PCS Trainer, I have also helped the CSS Center for Healthcare Innovation build an ICD-10 online, self-paced training solution for coders: http://www.centerforhealthcareinnovation.com. 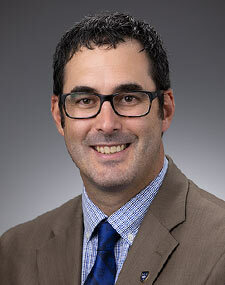 Ryan Sandefer received his PhD in Health Informatics from the University of Minnesota-Twin Cities, and both his BA and MA in Political Science from the University of Wyoming. Ryan began his career conducting research on health information exchange and telehealth at the University of Wyoming’s Center for Rural Health Research and Education. While at the University of Wyoming, Ryan served as lead researcher for the Wyoming Healthcare Commission’s health workforce study. In 2008, Ryan took a position with the College of St. Scholastica’s Center for Healthcare Innovation where he worked as research coordinator and project manager for several rural health information technology research projects, including projects related to data analytics and population health, voice recognition within the EHR, evidence-based resources at the point of care, and quality reporting directly from the EHR. Ryan is Assistant Vice President for Academic Affairs at the College of St. Scholastica. His focus is on driving transformation in non-traditional programs through new initiatives, student learning assessment, and data analytics. He currently serves as co-chair of the College's Strategic Planning Steering Committee, he is a member of the College's Higher Learning Commission Assessment Academy Team, and he serves on the College's Data Analytics Committee. He is an Associate Professor and the past chair of the Department of Health Informatics and Information Management. 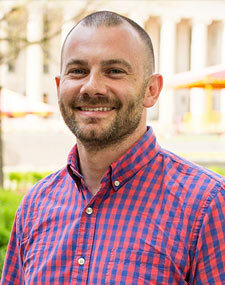 He teaches Healthcare Data Analytics, Consumer Informatics, and Applied Research Methods. Ryan is an active member with the American Health Information Management Association, Health Information Management Systems Society, and the American Medical Informatics Association. Sandefer, Ryan, Bonnie Westra, Saif Khairat, David Pieczkiewicz & Stuart Speedie. “Personal Healthcare Management: Assessing the Relationship With Chronic Disease Prevalence.” Journal of Medical Internet Research. Sandefer, Ryan and Stuart Speedie. (2017) Discovering relationships in consumer use of personal health information: A causal modeling approach. Proceedings of Data Mining for Medical Informatics: Causal Inference for Health Data Analytics. Washington D.C.
Watters, Amy, Amy Bergstrom & Ryan Sandefer. (2016). “Patient Engagement and Meaningful Use: Assessing the Impact of the EHR Incentive Program on Cultural Competence in Healthcare.” Journal of Cultural Diversity 23(3). Khairat, Saif, Ryan Sandefer, David Marc & Lee Pyles. (2016). “A review of biomedical and health informatics education: A workforce training framework.” Journal of Hospital Administration, 5,5. Just, Beth, David Marc, Megan Munss & Ryan Sandefer. (2016). “Why Patient Matching Is a Challenge: Research on Master Patient Index (MPI) Data Discrepancies in Key Identifying Fields.” Perspectives in Health Information Management 13 (Spring). Watters, Amy, Amy Bergstrom & Ryan Sandefer. “Patient Engagement and Meaningful Use: Assessing the Impact of the EHR Incentive Program on Cultural Competence in Healthcare.” Journal of Cultural Diversity 23(3). Sarah, Tupper, Ryan Sandefer & Janelle Wapola. (2015). “Meaningful Use Audits: An Interprofessional Approach.” Journal of Healthcare Information Management, 29, 3, pp. 22-24. Sandefer, Ryan, Bonnie Westra, David Pieczkiewicz & Stuart Speedie. (2015). “Determinants of Consumer eHealth Information Seeking Behavior.” Proceedings of the American Medical Informatics Association Annual Symposium. Sandefer, Ryan, David Marc, and Paul Kleeberg. (2015). “Meaningful Use Attestations Among US Hospitals: The Growing Rural-Urban Divide” Perspectives in Health Information Management, 12, 1f eCollection. Sandefer, Ryan, Saif Khairat, David S. Pieczkiewicz, & Stuart M Speedie. (2015). “Using Publicly Available Data to Characterize Consumers Use of Email to Communicate with Healthcare Providers.” Studies in Health Technology and Informatics, 216: pp. 401-5. Marc, David and Ryan Sandefer. Data Analytics in Healthcare Research:Tools and Strategies (Eds.). Chicago: AHIMA Press, 2016. Department: Health Info. Mgmt.-Masters Prog. Dr. Watters has a doctorate in Education from Hamline University in St. Paul, MN. She completed her master's and bachelor's course work in Health Information Management, including a Certificate in Healthcare Informatics, from The College of St. Scholastica. Before moving into academia, Dr. Watters spent over 10 years in the HIM industry, working in the areas of release of information, HIM and admitting management in acute care settings, product management at a software and consulting firm, and HIPAA security at a multi-specialty physician group. She is credentialed as a Registered Health Information Administrator (RHIA) and was awarded Fellowship of AHIMA in 2011. 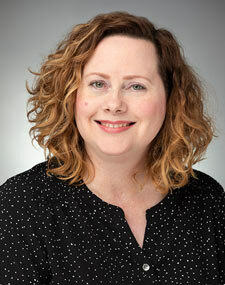 As Director of the Health Information Management Graduate Program, Dr. Watters coordinates the activities and leads the ongoing development of the graduate program. In her role as Associate Professor, she teaches courses at the graduate level, such as Foundations of Management in HIM, and Applied Project Research and Writing. She is an active member of the Minnesota Health Information Management Association, and is past-president of the Northeastern Minnesota Health Information Management Association. She has served on the AHIMA Foundation Scholarship Committee and is currently serving a 3 year term as a member of the Health Information Management Accreditation Council for the Commission on Accreditation of Health Informatics and Information Management Education (CAHIIM). Dr. Watters' personal interest lies in life-long learning, and the impact sense of community has on the learning process. She enjoys assisting students in their growth both educationally, and professionally, as each strive to reach their own personal goals. She is also interested in online learning principles, and incorporating technology in education. Dr. Watters is co-editor and chapter co-author for the 5th edition of the textbook Health Information Management: Concepts, Principles & Practice. She previously served as editor of the Instructor Manual for the 4th edition of the textbook, and in the 3rd edition, she and her colleague, Pam Oachs, co-authored the chapter Informatics in Healthcare. She also co-authored a chapter in the textbook Data Analytics in Healthcare Research, and most recently co-authored an article in a refereed journal on the impact of the EHR Incentive Program on cultural competence in healthcare.